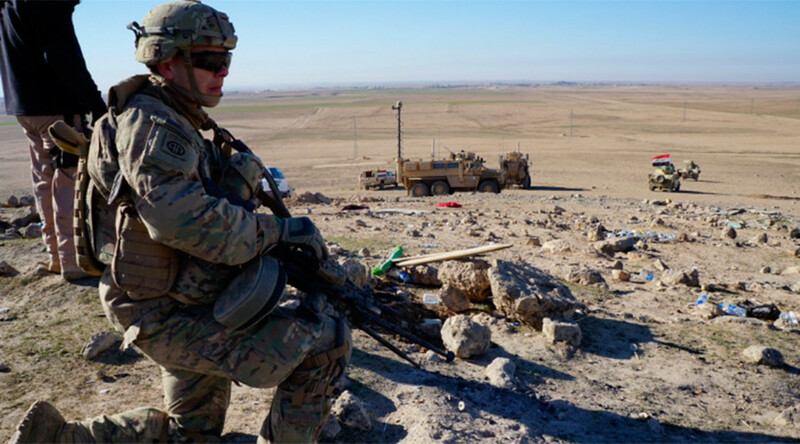 While nominally operating as military advisors to the Iraqi forces, the US servicemen taking part in the assault on Mosul have been involved in front-line fighting and an undisclosed number have suffered battle injuries, according to military officials. US soldiers “have come under fire at different times, they have returned fire at different times in and around Mosul,” said Air Force Colonel John Dorrian, the Baghdad-based spokesperson for Operation Inherent Resolve, the US-led coalition fighting against the Islamic State (IS, formerly ISIS/ISIL). “When someone is shooting at you, that is combat. Yes. That has happened,” Dorrian said during a press briefing via video link on Tuesday, when asked by Washington-based journalists to clarify if that meant that US troops were actually fighting. President Barack Obama returned a small contingent of US troops to Iraq in 2014, on the promise that they would avoid direct combat. There are currently 450 conventional soldiers and a classified number of special operators embedded with elite Iraqi forces around Mosul, calling in airstrikes, training troops, and helping with battle tactics. Despite an announcement by a senior US Army official this week that US servicemen would be embedded closer to the theater of operations, Dorrian said that US troops were still staying out of danger. "They are directed to try and be positioned where [combat] is a rarity and unlikely to occur," said Dorrian, noting that “our forces are quite capable of defending themselves." 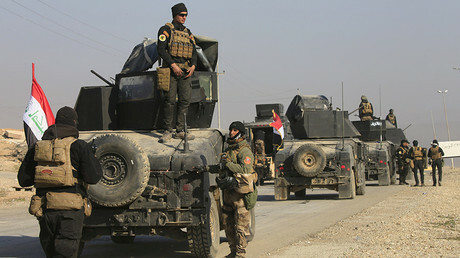 Nonetheless, a US official told CNN that some American troops had been wounded in the battles around Iraq’s second-biggest city, and had to be evacuated. The unnamed Pentagon representative declined to give specific numbers, to avoid giving the adversaries a tactical or psychological advantage. The US Defense Department says that 31 US troops have been wounded in Iraq and Syria since the anti-ISIS operation was authorized in the summer of 2014, though the casualty list is unlikely to be completely up to date. The revelations come on the heels of a statement by Army General Joseph Votel, head of the US Central Command, that “it could be that we take on a larger burden ourselves" in the battle for Mosul, adding that he was “concerned about maintaining momentum." President Donald Trump has also demanded an acceleration of the campaign, which is being slowed down not only by dogged resistance from the jihadist forces, but also apprehension about an estimated 750,000 civilians who remain trapped within the city.